EDITOR’S NOTE: Due to the fact that this entire series is currently available on Netflix for streaming at any given time, this will not be a spoiler-free review so read at your own risk. We’re not giving the whole story away but we do include some key information of several of the plotlines. First, we have to give credit where credit is due. Considering that this is the first time Netflix has ventured into the realm of exclusive original scripted content, it’s not bad. 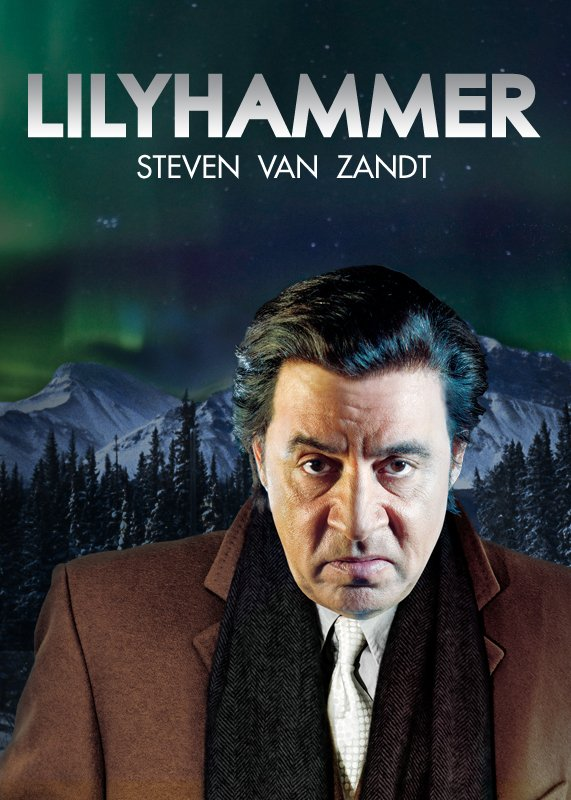 Unfortunately, the problem with Lilyhammer is that it’s not great either and we have never seen a series that we’ve had such mixed emotions about. Now, we don’t expect all shows to be Lost or The Wire but when a show like this has so much potential and yet manages to disappoint so thoroughly on so many levels, we have no choice but to point out its fundamental flaws and we hope to God that the powers that be actually read this and take these suggestions into consideration. That being said, as you read this, please understand that we do like Lilyhammer, warts and all, which is why we are going to such lengths to point out what its flaws are and how to improve them as opposed to what we usually do and that’s just take a complete dump on the show if it’s awful. Some of the problems of this show are exemplified right in the show description, which we jacked from the Netflix press release regarding the series launch. One of the biggest problems with the show is that, much like the press release, it is incredibly inconsistent. You’ll notice that in that press release Frank is described as a sports fan. The problem with this is that nowhere during the entire first season is his sports fanaticism even hinted at. Yes, there is the Olympic connection, but everyone watches the damned Olympics (except us, and we are sports fans) and Frank’s attraction to the small Norwegian town has everything to do with how he pictures it in his mind based on the media representations and nothing to do with his love of sports (this is important to note because it leads us to the biggest problem with the show which we’ll get to momentarily). More inconsistencies: the press-release honestly reads as if whoever wrote it didn’t actually watch a single episode of the series. It claims that Frank wants to get away from the temptations of the Big Apple. This isn’t even close to what happens on the show. It’s made very clear from the beginning that Frank has no desire to leave the life, he just doesn’t want to get whacked. The reality is that Frank starts setting the wheels in motion to start his own little quasi-legit/quasi-criminal organization the moment he sets foot in Lillehammer. The first thing he does at the job placement office (the D.A.V.) is to blackmail his case worker, Jan (Fridtjov Såheim), with pictures of him and some underage immigrant girls that he found when he broke into the guy’s cabin after he illegally hunted and killed a wolf that was terrorizing the village. Way to keep it on the down-low, Frank. And this is what the biggest problem of the show is and what’s so puzzling. Lilyhammer was created and written by Norwegians and the question that we have to ask is: do Norwegians really believe that Americans are as stereotypical as they are portrayed in Lilyhammer? And not for nothing, do they believe that their own citizens are that stereotypical as well? The best way to describe these portrayals is “cartoonish” and we don’t mean that in a good way. Yes, we get that this show is supposed to have some comic elements to it, but it’s reminding us of the Steve Martin/Rick Moranis film, My Blue Heaven and we know that’s not the intention. Don’t get us wrong, we love My Blue Heaven but there was no mystery as to what that film was going into it and this show just can’t seem to get its theme straight. And the biggest cartoon character of all is Frank Tagliano (aka, Giovanni “Johnny” Henriksen) as played by Steven Van Zandt and this is partly because of the material and partly because of the actor. Despite his acclaimed portrayal of Silvio Dante on the now legendary HBO series, The Sopranos, Van Zandt is not a particularly good actor and we don’t think that he would claim otherwise. The truth is that The Sopranos is the only other real acting gig he’s ever had and we think that critics and audiences tended to overlook the fact that Van Zandt’s appearances on The Sopranos were pretty limited in retrospect and he really was a man of few words. Why did they overlook this? Simple: because for the first four seasons of The Sopranos, critics and fans could not restrain themselves and their gushing over every aspect of the show so everybody was fantastic on that show and could do no wrong, despite the fact that even most of the characters on The Sopranos were slightly cartoonish and certainly exaggerations to say the least. The problem that Lilyhammer has is that in terms of quality, even on its best day it’s not half the show that The Sopranos was on its worst day. Now, we make this comparison not because we think it’s a good idea to compare two entirely different series, but because before you go any further with the show, you have to understand that Van Zandt is playing Tagliano as if he is a wacky version of Silvio Dante in an alternate universe where there is no Tony Soprano and Dante wound up being the big swingin’ d*ck in Newark… and then eventually went into witness protection in Northern Europe. The point is that Van Zandt is a one-trick pony and he probably would tell you the same thing. There’s a reason why he has turned down every other role that’s been offered to him and has publicly stated that he has no desire to take any other acting jobs outside of The Sopranos. The man is wise enough to know his own limitations. What’s baffling is that the Norwegians don’t seem to know what their lead actor knows. They need to ditch the Norwegian writers and creators and delegate them to consulting roles and only let them write the general overview of the stories. Their writing, has been, as noted, inconsistent at best. There have been a lot of good ideas in a lot of these episodes but they often just don’t seem to be able to put them together very well. They really need to get some U.S. writers (we’re not suggesting that they get all American writers) and some other writers that at least understand American culture. This show is often too eye-rolling ridiculous for its own good and the perspective is exclusively from that of Norwegians who apparently have learned everything about America by watching American television. Having the same two writers for all eight episodes is kind of unheard of. Van Zandt needs remedial training and immediately. Yeah, I get that he has a lot of silly material to work with but it doesn’t take a casting director to know that he’s got serious issues when it comes to experience and since they’re already locked in with a lead and he’s not going anywhere, they need to resolve this issue quickly. Also, he needs to get rid of that damned awful wig. He’s not fooling anyone. Taking that a step further, we’re getting the feeling that because of the language barrier, the Norwegian directors don’t really realize how bad Van Zandt is. They need to have more than one director on this show. One for their Norwegian cast and one for their American cast. We don’t really care if it’s an American or not, the director just needs to speak English as their primary language so he can reign in these terrible performances. Get some damned American consultants on this show, already, preferably ones that have an actual knowledge of American culture, Italian-American culture and an understanding of the history and the culture of organized crime. They need to seriously cut down the silliness factor on this show. The whole notion that the mafia would send two hitmen to Norway to try to track down a snitch is beyond absurd and anyone that has watched just a little bit of the History Channel or The Discovery Channel knows this. Over the past thirty years, the mafia has become completely disinterested in chasing down rats because the truth is that if they went after every one of them that’s all they’d be doing. The Justice Department has turned so many “goodfellas” that it’s been said that there are more guys in witness protection than in the mafia itself, now. Unfortunately, no one told the writers this so the last three episodes of the season were wasted on this ridiculous premise. Better casting all the way around when it comes to American actors, which again leads us to the need for yet another native English-speaking producer, in this case the casting director. The performances from the American actors in this series, Van Zandt notwithstanding, were horrific. We’ve seen better performances in elementary school productions of The Wizard of Oz. It was embarrassing to watch. So with all of that criticism, you’re probably asking yourself what we actually liked about the show and what’s saving it from being a show that we just outright dismiss. Well, despite its many flaws, it is an entertaining little show. The stories, though often disjointed, are still pretty clever and entertaining and they do keep you interested enough at the end of each episode to immediately want to watch the next one is. Its big crutch that makes this possible is the Norwegian cast. The characters and the actors playing them are wonderful… at least we think they are. Much like the Norwegian directors who don’t speak English as their primary language and therefore obviously can’t really tell whether or not the American actors are doing a good job, it’s possible that the same could be said for our assessment of the Norwegian actors who do speak Norwegian 90% of the time. But, we doubt that’s the case because the Norwegian producers would of course know if their Norwegian cast was doing a sh*tty job, right? So, while we certainly recommend Lilyhammer it does need work and we have to warn you not to expect more it from it than it can give you. This entry was posted in Review and tagged comedy, crime, lillehammer, lilyhammer, netflix, new series, norway, review, streaming. Bookmark the permalink. I personally love the movie. I thought Steven van zandt was hilarious. The fact that I don’t speak Norwegian does not spoil my fun. This is not reading Shakespeare here. It’s comedy. What the heck. How many Emmys or Oscars have you won. Have you won a Pulitzer lately. Come on have fun and don’t be a talking head. You must be the Guy who ripped “the matrix”. If you keep this up you are going to go down with the sportscaster who said cam Newton couldn’t be a good quarterback in the NFL. First, it’s a television show, not a movie. Second, I’m not really sure where this negativity is coming from because I thought I made it clear that I liked the series and was recommending it. I don’t think you under stand the rating system which means that I probably should post a key on the “About” page. 65 out of 100 isn’t like getting a “D’ in school. I use the same rating system as Metacritic. 65 is generally favorable/positive, because overall, I think the show is very good and it is a lot of fun, but it really could be a lot better and I wouldn’t be doing my job if I didn’t make mention of the obvious issues the show has, either. Whether or not I’ve won any awards is irrelevant to whether or not I can judge someone’s acting abilities especially when they are as limited as Van Zandt’s and as I noted, it’s unlikely Mr. Van Zandt would argue that. He’s not an actor, he’s a musician that has had two acting gigs in his career. His problem is a lack of experience and it’s obvious to anyone who watches his performances. I’m rather curious as to why when doing a television show review, you would think I shouldn’t point out the limitations of the cast. At the end of the day my lack of awards doesn’t change the fact that Van Zandt is a weak actor and it certainly has no bearing on my ability as a human being to be able to assess bad acting.